Warangal, the city of historical richness, is a must visit for every travel lover. Ancient impressive architecture presenting a peek into its past glory, serene lakes mesmerizing visitors only with its scenic beauty but with technical expertise of bygone eras and an engaging culture is what makes the city of Warangal a perfect tourist destination. However, to experience the best of Warangal, one needs to have a properly planned trip covering all the aspects. Our Hyderaad to Warangal tour packages present an easy and hassle free way to plan your tour. Warangal, once the center of Kakatiya rule in 12th to 14th century, is bestowed with an admirable architectures and breath-taking scenic beauty. From impressive structures to ancient temples to tranquil lake and rich wildlife, Warangal tour offers something for everyone. Every tourist is sure to find something of his or her interest in Warangal. This city has abundance of choices for visitors; however these can be enjoyed even more in a trip where all other necessities have been taken care of. Warangal holiday packages at Holidays DNA take care of almost everything related to your travel, making it possible for you to enjoy each and every moment in Warangal. At Holidays DNA, we ensure that you have an enjoyable experience. We have a wide array of tour packages for Warangal, catering to all kinds of holidays. Whether you are planning to travel with your family or looking for a group tour package to travel with your friends, whether you are planning a one day tour or a week long travel with your partner, we have holiday packages of every kind. Adding to variety is the quality of our services, irrespective of whether you are booking a luxurious tour package to budget travel plan; we maintain same standards of services. 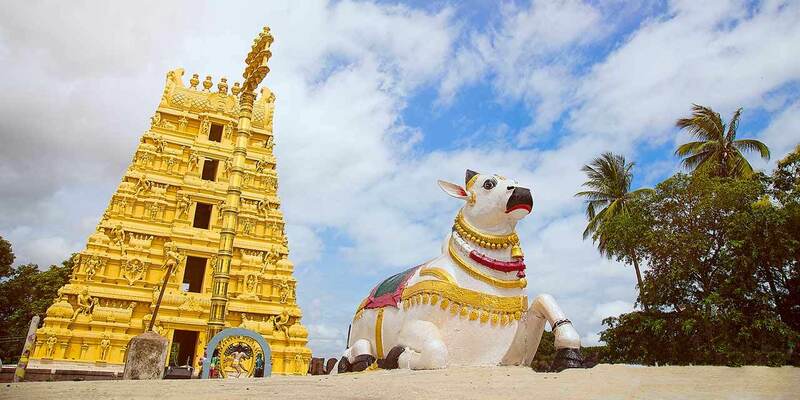 Our Warangal tour packages from Hyderabad and other cities are inclusive of many facilities. There are an extensive range of hotels to choose from our tour packages. Most of the accommodation includes complimentary breakfast and access to various hotel facilities. Along with a comfortable stay, Holiday’s DNA Warangal tour packages also include pickup and drop service from your hotel to airport/railway station or bus stand. For sightseeing, we offer a cab, depending on your preference and requirements. The cab will be solely offered for you for sightseeing. There is flexibility for the tourists to decide which place to see in Warangal and how much time to spend exploring it. Our driver and the cab wait for your while you explore a particular sightseeing place. Some of the popular sightseeing places in Warangal are Thousand Pillar Temple, Bhadrakali Temple, Khush Mahal, Warangal Fort, Ramappa Temple and Lake, Laknavaram Lake, Pakhal Lake, Eturnagaram Sanctuary, Sammakka Saralamma Temple, etc. 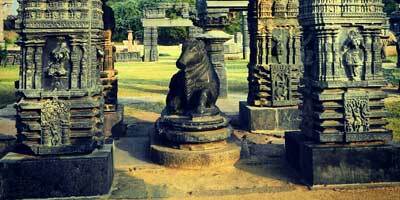 In addition to this, we also offer tailor made Warangal tour packages. If you have any specific requirement, you can inform our travel advisor who will make a tour package exactly as per your preference and need. At Holidays DNA, you can travel in the exact way you want to in a cost effective manner. Our tour packages are offered at reasonable price so that everyone can enjoy a memorable holiday without any worries of arrangement and budget.